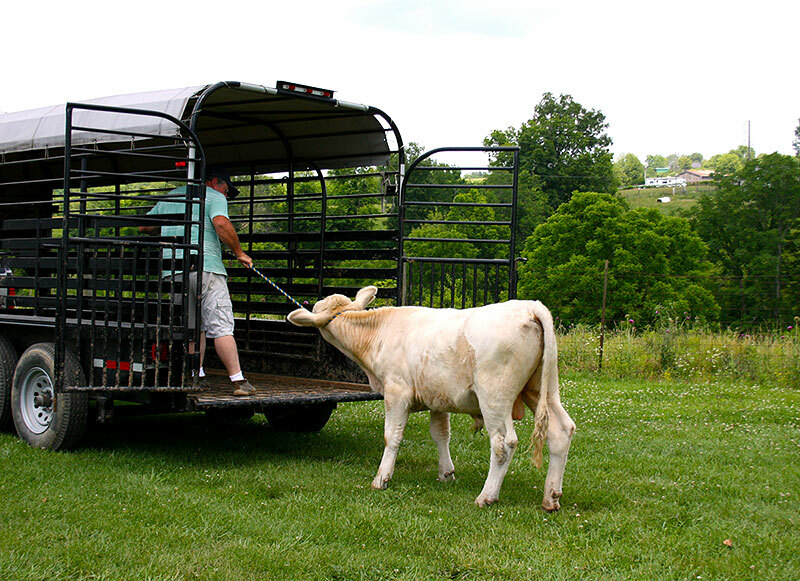 Our 10 year old grandson loves cattle (I mentioned before that we were grandparents, right?). He first started going to feed with Boone on the mornings following a sleep over when he was about 2 yrs. old. He loved coming in and bouncing on the bed to get us up at the crack of dawn on a frosty morning. I would send him out the door bundled up in mittens, insulated overalls, boots and a promise of blueberry pancakes when he returned. Boone would make up songs about the old mean bulls and going fishing that they sang over and over while driving to the different fields to feed. We were creating great memories. Fast forward 8 years and now he is showing a young bull named Bruno. Bruno was a bottle calf whose mom never produced enough milk so he was hand raised and is still gentle. He will probably change as he matures but at the moment he is one mild-mannered fellow. Last year, all of us were new to showing. Luckily, we have friends whose family has been showing for generations and let us tag along with them to learn the ropes. Since there is a lot of waiting around between show classes we started tailgating with everyone bringing dishes. We take our canopy, chairs, a folding table, games and lots of good food. Family and friends join us to help cheer on our little show team. Making more great memories for the kids! Bruno is not always as excited about the shows as we are though. At our last show, I went with a southwestern menu. 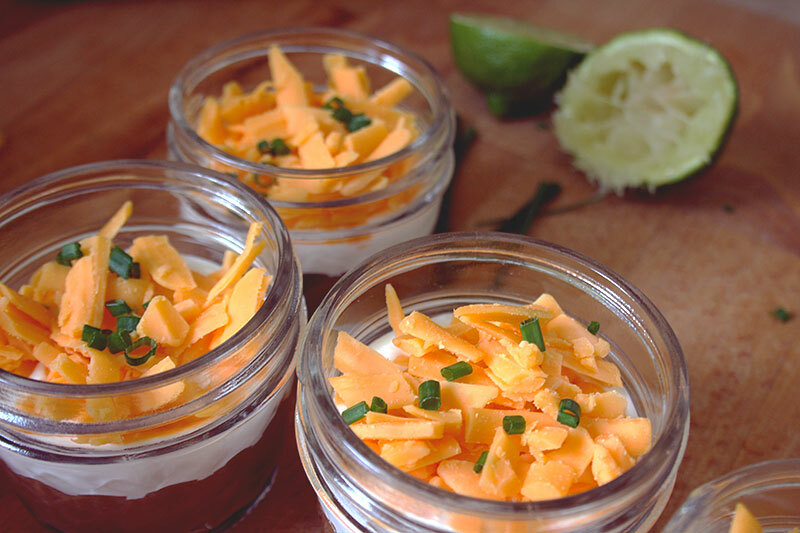 My grandson loves bean dip and I decided to put it in individual jars. Our group of friends and family usually have 4 or 5 kids along so I thought it would be an easy handheld food for them. Turns out the adults ended up loving them also. These are so easy so make ahead of time, cap them and put in the frig until needed, which is exactly what I did. I had seen quite a few recipes online and there are a lot of ways to fix these. I just put in what I knew the kids would like but you can add all kinds of great ingredients; guacamole, diced tomatoes, olives, etc. Instead of using canned refried beans, I substitute canned mild chili beans in sauce. The chili beans have a better taste to me and are a bit creamier. I had one last can of refried beans in the pantry that my son bought so I used that up plus a can of chili beans to make this. I saved the box the jars came in so I put the filled jars back in the box and slid the whole thing into a plastic grocery bag to go into the cooler. Save The show was great, Bruno and the grandson took first place for the first time in one of the classes, the food was awesome and we all had a really good time. I am thinking barbecue for the next show…..
Heat both cans of beans in a saucepan over low heat. While heating, blend together. We are not boiling the beans, just let them heat up about 10 minutes or so as they will be easier to blend. I used a hand held immersion blender but they can be mashed with a potato masher or a regular mixer. Remove from heat and let cool to room temp. Stir the lime juice into the sour cream and set aside. 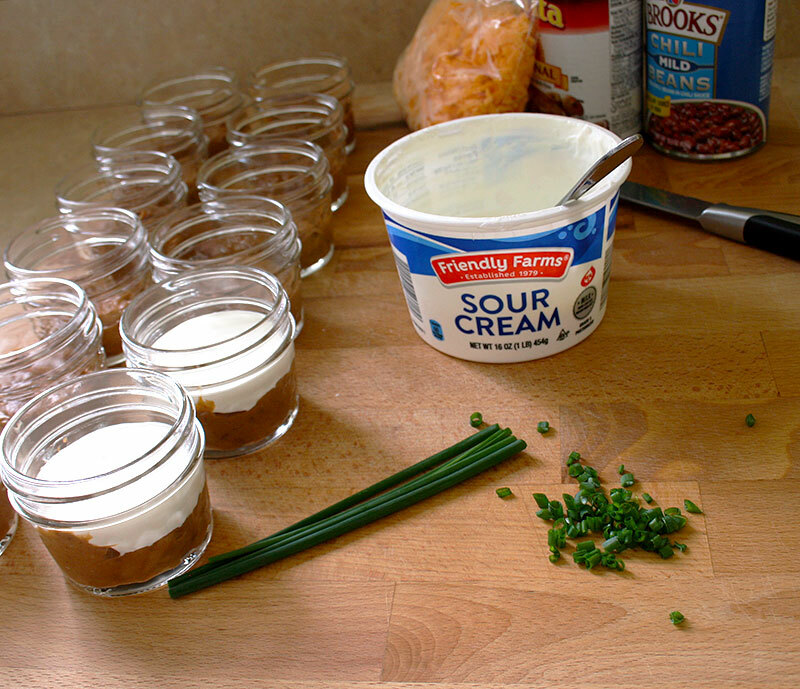 Starting with the beans, add a spoonful or two into each jar, then layer a spoonful or so of the sour cream mixture. Top with shredded cheese and any other topping you would enjoy. 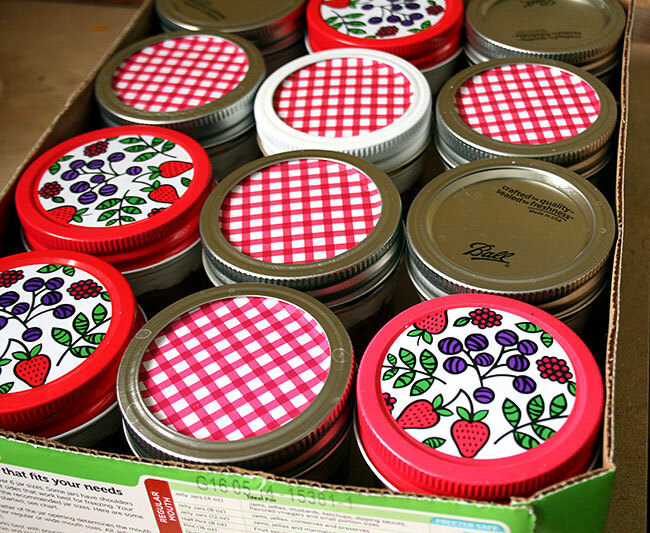 Cap with the lids for transporting or refrigerating.